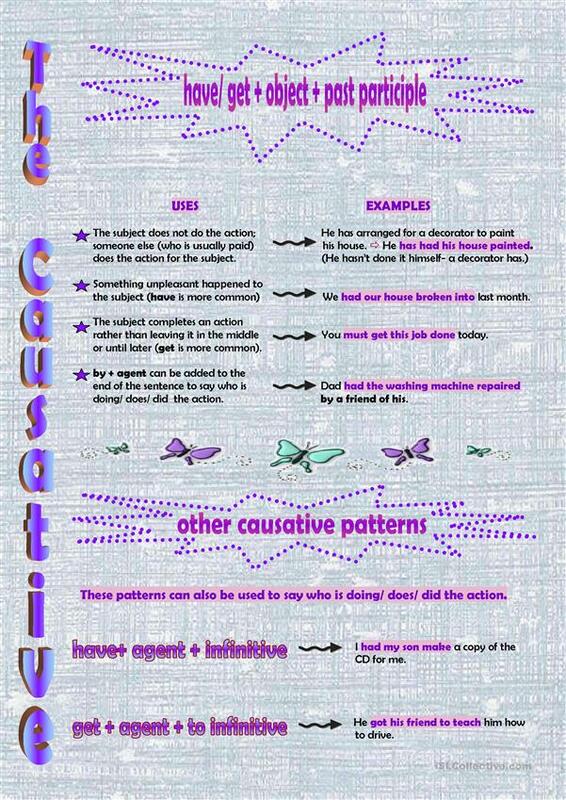 Causative patterns: Have something done - Have somene do something - Get someone to do something. 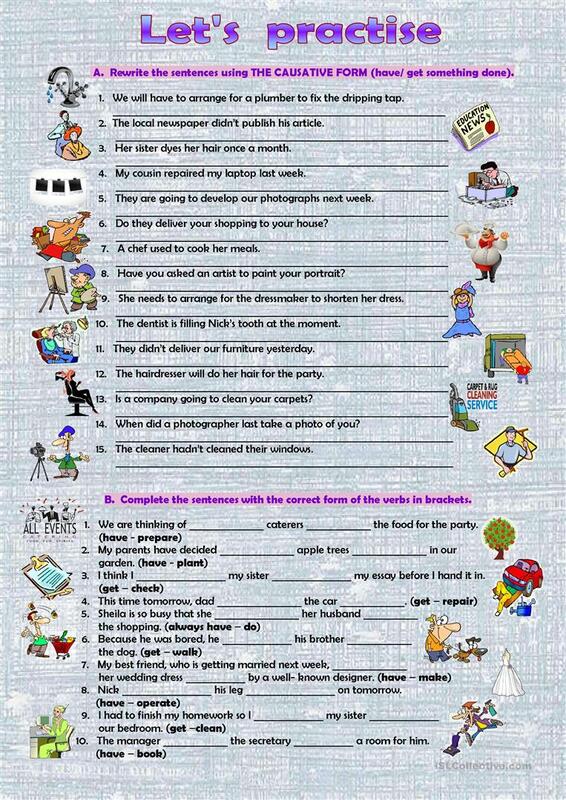 A grammar guide (use-formation-examples) and two exercises for practice. The present downloadable printable is intended for high school students, elementary school students and adults at Intermediate (B1), Upper-intermediate (B2) and Advanced (C1) level. It is valuable for practising Causative in English.